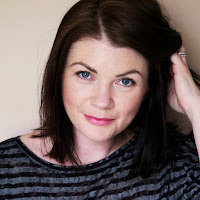 When I was in my twenties (a.k.a a very long time ago) I shared a flat with a girlfriend who is still a great friend of mine today. I have so many great memories of the years we lived together in that cute little flat in Sydney - boy did we have some good times. Sigh. We both had full time jobs, in fact we also worked together, but that didn't stop the constant parties - the turntable was always spinning, the vinyl strewn across the floor (we were young and carefree, what can I say?! 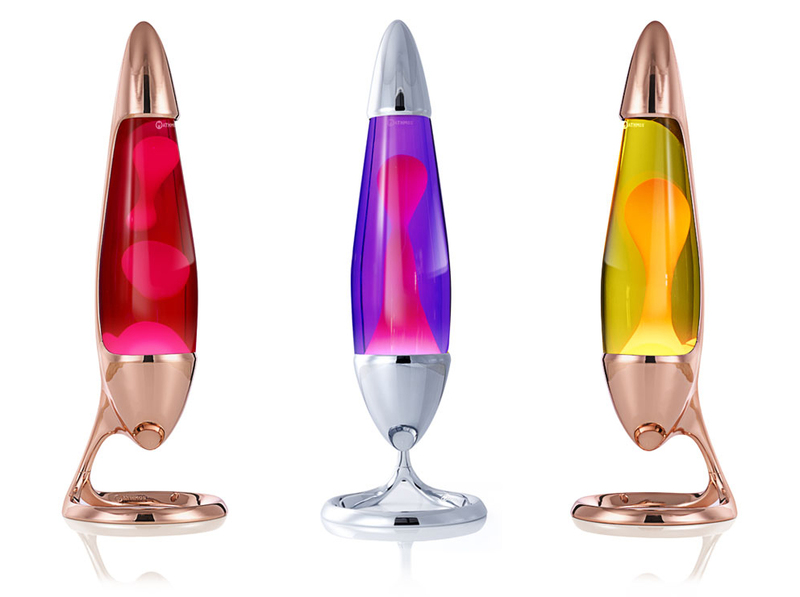 ), and the lava lamp was always glowing. The lava lamp always added so much atmosphere, and I really wished it was mine. Sadly it belonged to my friend (I must ask her if she still has it!). My second thought, was do I still like them? Would it work in my house some twenty odd years later? Then I saw the lifestyle images, and the answer was a resounding YES! I definitely still love them after all these years. Neo, launched just this week, has a cool minimalist base that comes in either a chrome or copper finish which feels so fresh. And a choice of colours for the 'lava' itself. It was a no-brainer choosing the base colour - copper of course. I found it trickier choosing the lava colour though, and changed my mind approximately sixty-five times. In the end, and rather controversially given my er, dislike of red, I chose the red! I know, weird, but it kind of looks a bit pink in some lights, and it's sooooo pretty next to the copper. Rules were made to be broken after all, even my own. 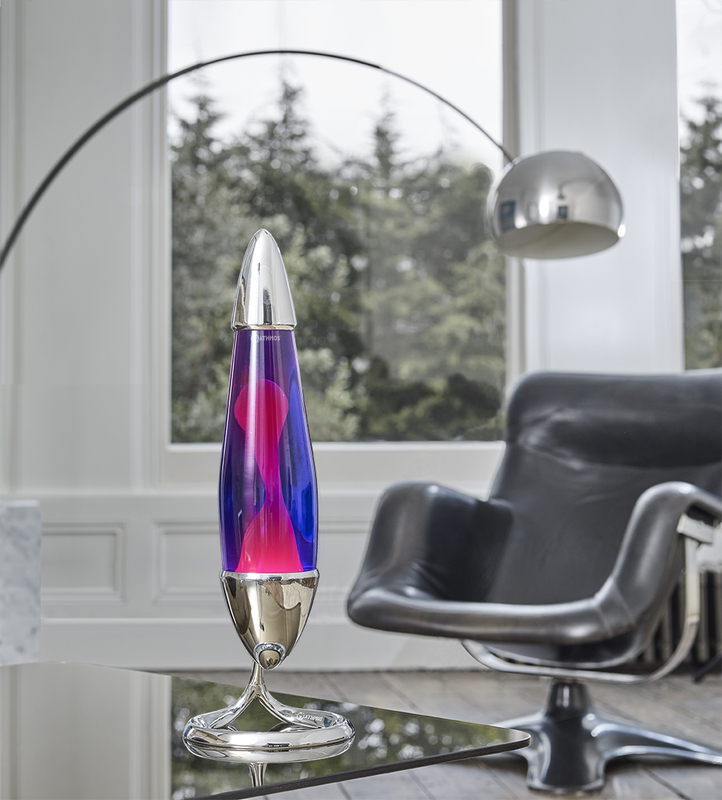 What I had forgotten about lava lamps, and what I was reminded of once I'd assembled Neo and he'd heated up and the lava got going, is that the slow motion of the lava rising, forming shapes and falling, is incredibly mesmerising and relaxing to watch. I'm so happy to have a lava lamp in my life again. Will you just check Neo out? So gorgeous. I'm not sure if this will be Neo's permanent spot in the house, because he'd also look great in the kitchen or the living room. And of course both kids want him in their bedrooms. 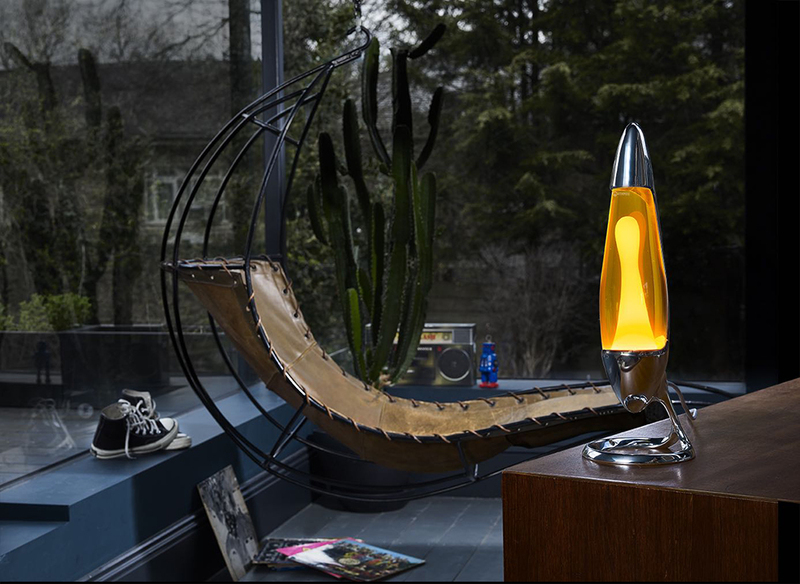 Neo is safe for use by younger fans too, with shatterproof glass, a low voltage halogen bulb that's directed at the lava not the metal so it doesn't get too hot, and you can even screw the base to a surface so it can't be knocked over. Yep, I can see Neo spending time in a few different rooms for sure. Now for the really exciting bit! 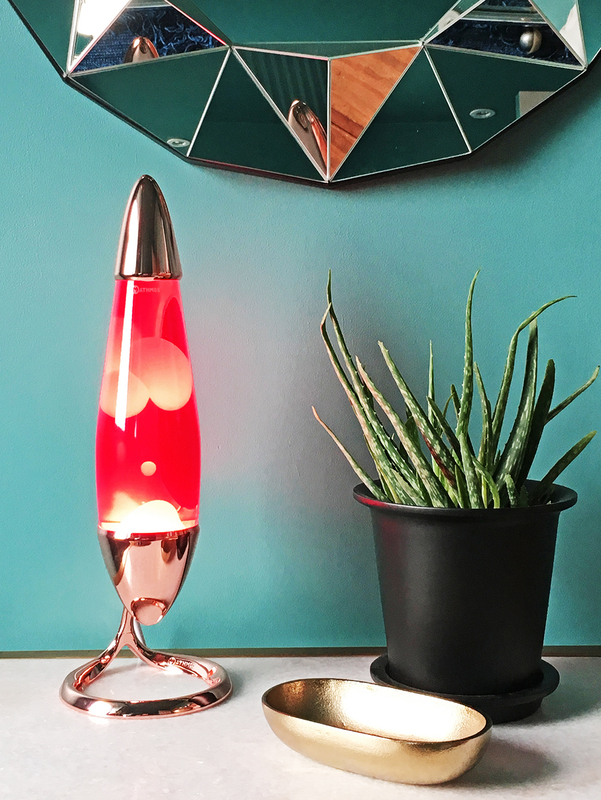 I've teamed up with Mathmos to offer one of my readers their very own Neo Lava Lamp! See details below for how to enter, and have a look at all the colour options for Neo on the Mathmos website. It's simple to enter the giveaway - just follow both me and Mathmos on Instagram, and leave a comment below to let me know you've entered, including your Instagram handle. The winner will be announced on my Instagram account, on on Wednesday the 9th of November, 2016, so keep your eyes peeled! If the winner doesn't get in touch to claim their prize within seven days, another winner will be drawn at random and announced as above. This post is in collaboration with Mathmos. Fab, thanks for entering James, you're in the draw! This is a trip down memory lane,I had one as a teenager. Much prefer the new streamline base. 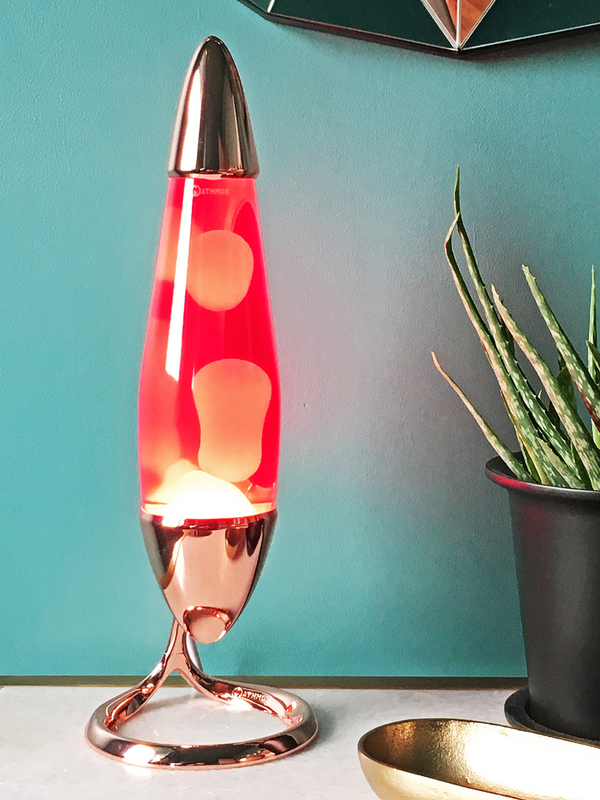 Pink and orange is my favourite colour combo in interiors,hair and lava lamps! Takes me back to my uni days! Cracking update. These are gorgeous! I used to have the classic one with matte silver, clear liquid and lime green lava. 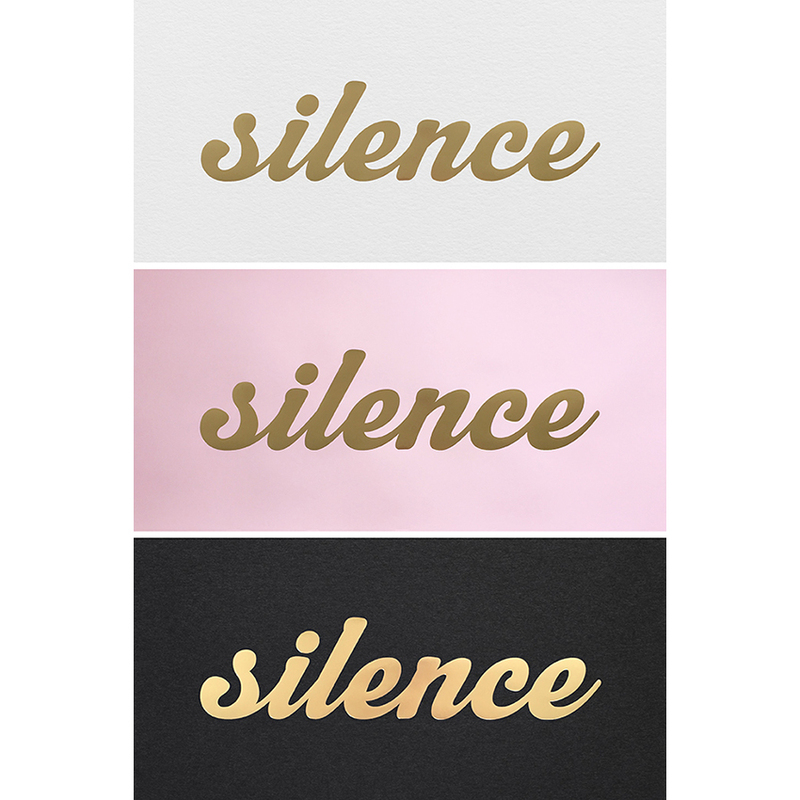 Love this new style and of course the copper is beautiful! Have followed Mathmos and already following you of course!